Robert (Bob) Uhl, 86, passed away peacefully surrounded by his loving family and friends on November 21, 2017. Bob was born in Kingston, NY, and lived there until moving to Raleigh in 1966. He was the son of the late Clarence and Elizabeth Uhl. On December 25, 1952, he married Pauline Hohenberger, his high school sweetheart, and spent the next 64 plus years together in a blessed and wonderful marriage. He was a 35 year employee of IBM and served in the US Army during the Korean war. 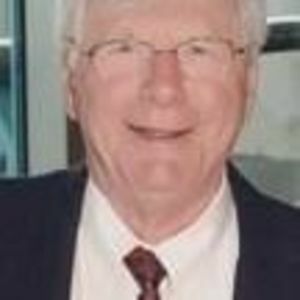 Bob enjoyed square dancing for over 40 years, playing golf, as well as traveling to many countries with his wife, family and friends. Bob is pre-deceased by his daughter Donna Downes, and brother David Uhl. Bob is survived by his wife Pauline, son Steve and wife Beth, son in-law Tim Downes and wife Sue, grandson Matthew Downes and wife Meghan, granddaughter Katie Murphy and husband Matt, granddaughter Samantha Lipnisky and husband Nick, and granddaughter Kristen Downes. In addition, Bob was blessed with seven great-granddaughters, Alex and Riley, Samantha, Shannon, Lilly and Rose, and Eloise as well as several nieces and nephew whom he loved with all his heart. A funeral mass will be held at St. Luke Catholic Church at 12333 Bayleaf Church Rd, Raleigh, NC on Tuesday November 28th at 11 am with Rev. Robert Staley, Pastor, officiating; with inurnment at the church columbarium. Following the inurnment, a reception will be held in the parish hall where the family will receive friends. Memorials may be made to "Under God's Construction" at St. Luke the Evangelist Catholic Church, 12333 Bayleaf Church Rd, Raleigh, NC 27614.